Between soccer practice, karate, homework, therapies, PPT meetings, family commitments, home exercise programs, sensory diets and swim lessons, are you feeling like every waking moment is scheduled? It can be hard, but try to find a few minutes to play just for fun. Give your child a break from critique of their grasp patterns, articulation or other therapy objectives, get down on the floor or go outside together (without technology!) and just play. Feeling stuck for ideas? Here’s a list of 75+ quick and easy activities to play, from Parenting Magazine. 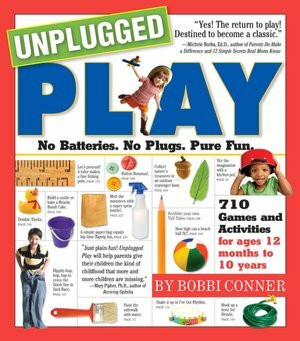 Another great resource is Unplugged Play by Bobbi Conner. This book is full of 710 screen-free, cord-free, developmentally appropriate and fun activities for toddlers, preschoolers and elementary school aged children.